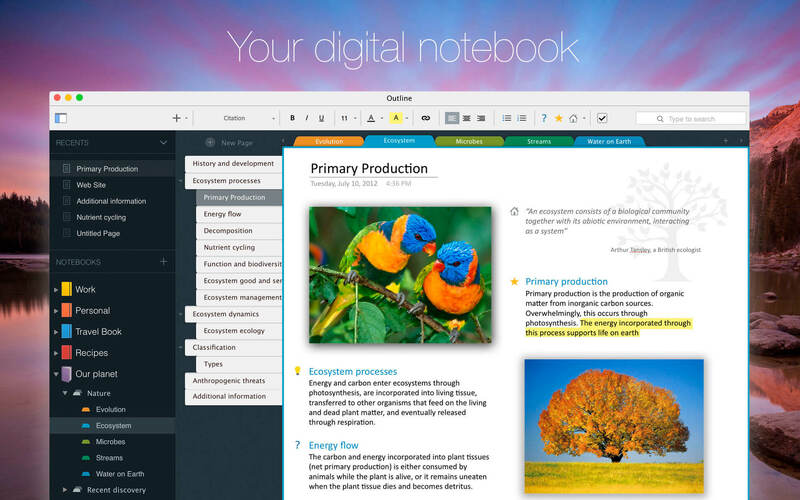 Notes with more creative freedom, better organization, and PDF export options. 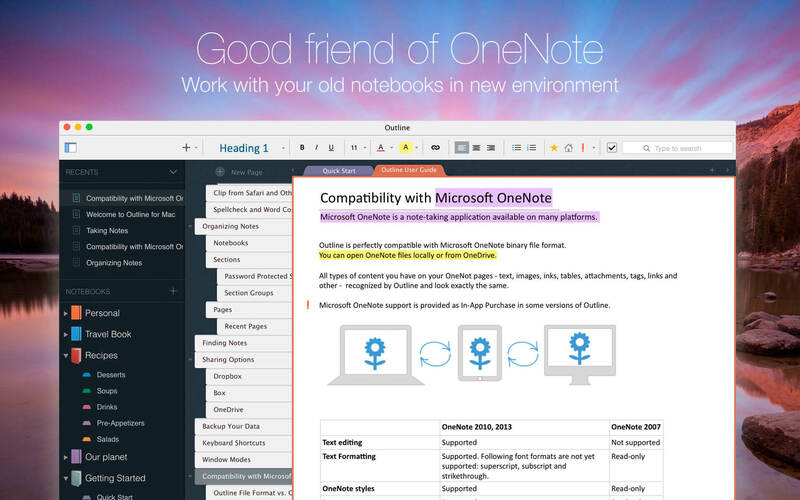 OneNote compatible & Office 365 powered. Take your OneNote to the cloud you like best or even local. Capture notes at any spot on a page and draggable around. 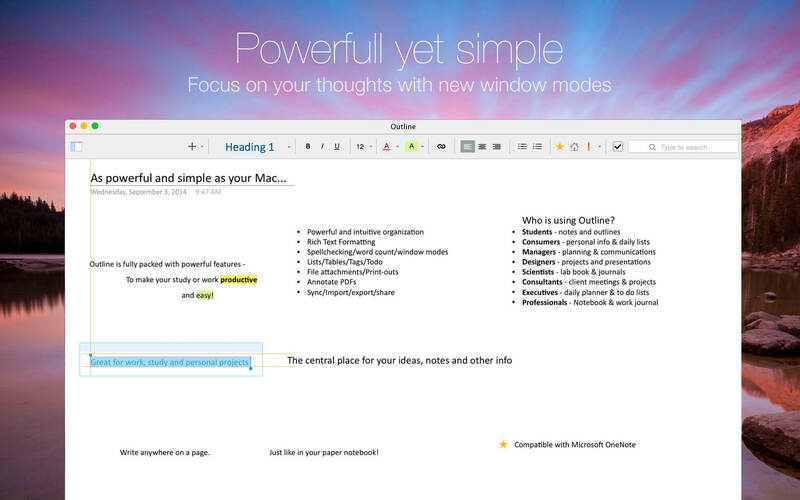 Organize notes in the world's most natural hierarchy. Store notes in your local file system, and synced across devices with your favorite cloud. Powered with import from Evernote and Circus Ponies.